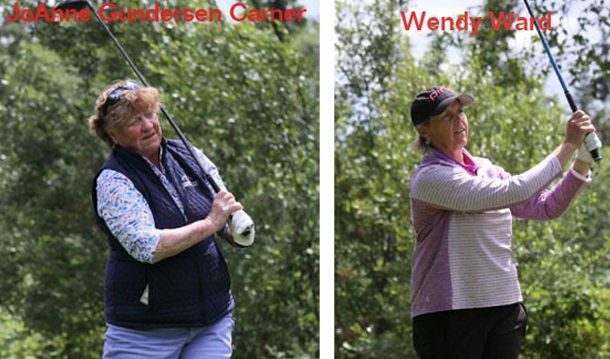 The Suquamish Clearwater Legends Cup, a 36-hole tournament for LPGA veterans age-45 and over, has been moved to the Friday-Saturday dates of June 7-8 at White Horse Golf Club outside Kingston after originally being scheduled for the weekend. The date change is intended to accommodate golfers who want or need to attend the World Golf Hall of Fame induction dinner at Pebble Beach, Calif., on Sunday. One of the competitors, Jan Stephenson, is among the five inductees. The defending champion of the Legends Tour event is Trish Johnson of England, who won by five strokes after finishing 8-under with a 66-70-136. The field is being expanded from 30 to 36 this year and the purse boosted from $175,000 to $200,000. Tickets are $20 for one day and $30 for both days. The tournament’s pro-am has been moved to Thursday, June 6. Foursomes will be paired with a Legends’ pro and the foursome entry fee is $7,500. The Kaiser Permanente Women’s Amateur Team Scramble will be Wednesday, June 5, and the entry fee is $125 per player. The format is a two-woman scramble with a shotgun start at 9 a.m. The low gross and low net twosome winners will team with a pro in the pro-am the next day.